Back-to-school time is a certain relief to most parents as family life returns to a more routine schedule. But, with that school-day consistency comes inconsistent workday disrupters . . . 4:00 soccer practice, Thursday morning college-planning parent meeting, or the dreaded “your child has a fever” call from the nurse’s office. 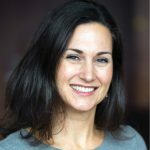 Work-life balance-focused employee benefits can be the difference in how working parents face the school year. 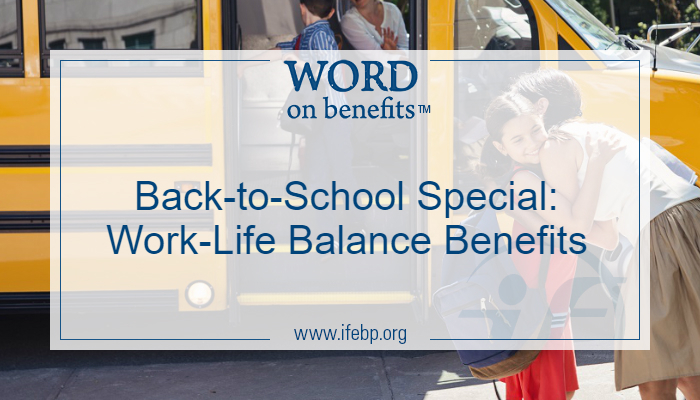 In this second in a miniseries of Word on Benefits “back-to-school specials,’ let’s take a look how employers are balancing the increasing requests for workplace flexibility with productivity. The International Foundation continues to keep tabs on employer trends in the areas of paid leave and flexible work arrangements through our Employee Benefits Survey and soon-to-be-released paid leave and flexible work arrangements surveys. Below are some highlights of feedback from our employer members in the United States, addressing two of the key work-life balance benefits parents in the workforce are often seeking. Several states require employers to provide unpaid time off to parents to attend activities at their children’s schools or day cares. Eligibility, the types of activities and level of leave benefits vary widely from state to state. From a one-day stomach bug to a week-long battle with pinkeye, having a child with a short-term illness can leave working parents feeling pulled in multiple directions. While FMLA was established to provide leave for serious illness, and an increasing number of organizations have defined leave policies for the birth or adoption of a child, many workers find themselves in a bind when it comes to managing time off for the care of a sick child. Watch for more detailed data on paid leave and flexible work arrangements coming from the International Foundation this fall at www.ifebp.org/research.